I love the 4th of July! I find it exciting and an honor that we get to spend an entire day celebrating our Nation! I love gathering with friends and family, grilling out, watching fireworks and getting decked out in Red, White and Blue! I still remember when I was younger my mom dressing both my sister and I in matching flag shirts, you know what ones I am talking about! We were really cute kids, I promise! Anyway, with the 4th of July being tomorrow I figured I would give you a nice little run down of a few recipes that I think would be perfect for your 4th of July get together! Whether you are throwing a huge 4th of July bash or a small intimate get together with close friends and family, these recipes are sure to please and impress! So here is is, your 2014 4th of July Recipe Round Up! 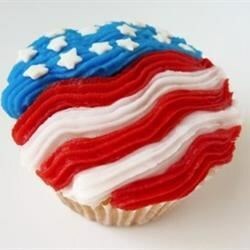 Enjoy, and Happy Early 4th of July!